Cheesy Hamburger Dip is a rich creamy cheesy dip with all of your favorite burger flavors. 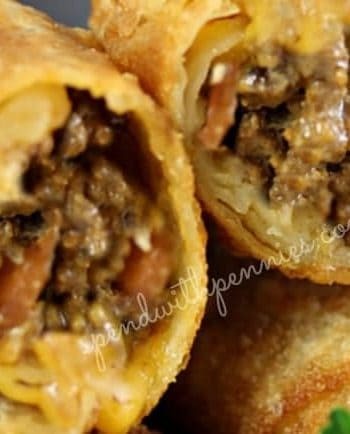 It is topped with even more sharp cheddar cheese, then baked until hot and bubbly. 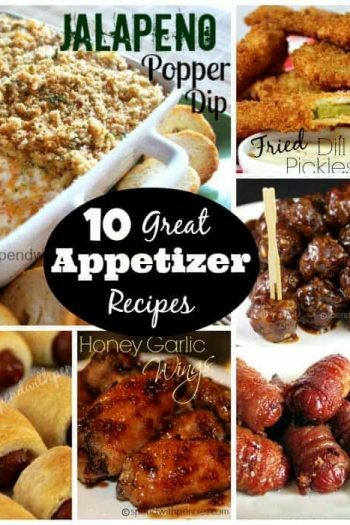 Serve it alongside other favorite appetizers like Buffalo chicken dip for the perfect party spread! 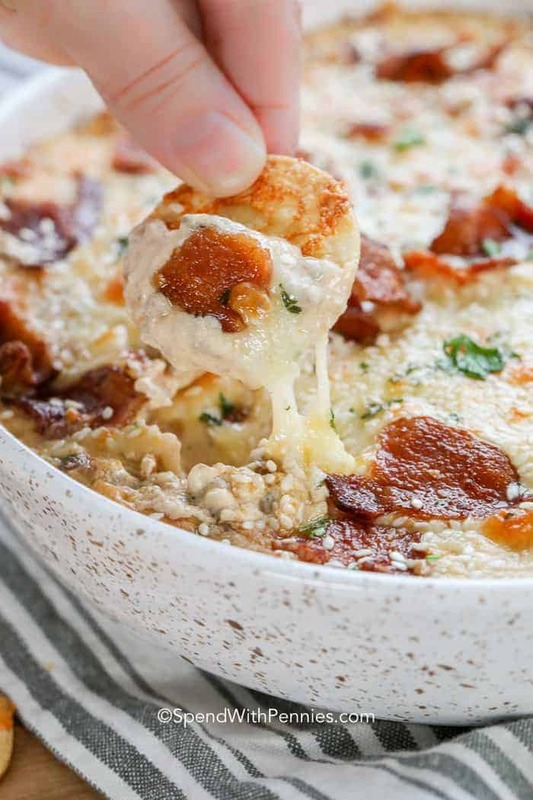 This hamburger dip has brought a new addition to our appetizer recipe roster; it’s so cheesy, loaded with flavor and everyone goes crazy for it. 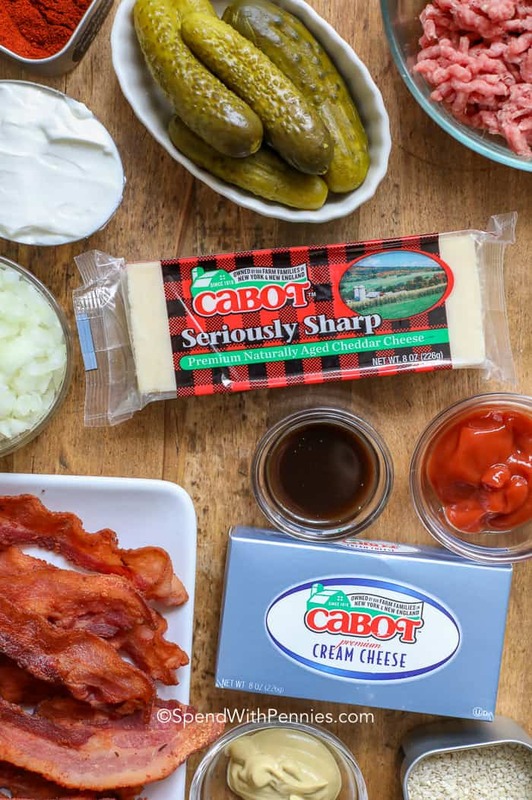 I am so excited to have partnered with Cabot Cheese to bring you this easy hot cheese dip recipe. I love a good juicy burger… and what better on a burger than a slice of cheddar cheese? If you’re looking for the best cheddar flavor, sharp is the way to go! A good melty cheddar cheese is obviously the best burger topping (along with pickles of course)! 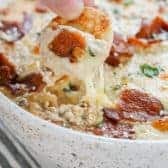 As much as I love a juicy cheeseburger on a sesame seed bun, I think I love this scoopable Cheesy Hamburger Dip even more! 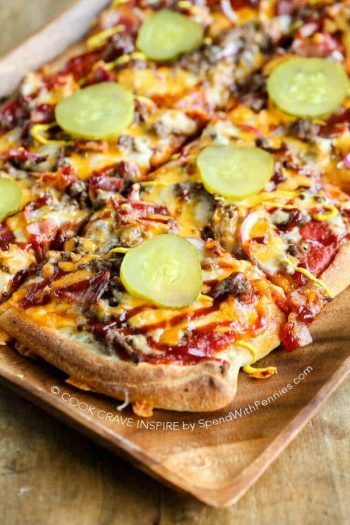 It is loaded with the best burger flavors, pickle, bacon and of course heaps of Seriously Sharp Cheddar Cheese adds loads of bold cheddar flavor. Cheesy Hamburger Dip can be made ahead for any potluck or party and everyone loves the flavors in this dip! 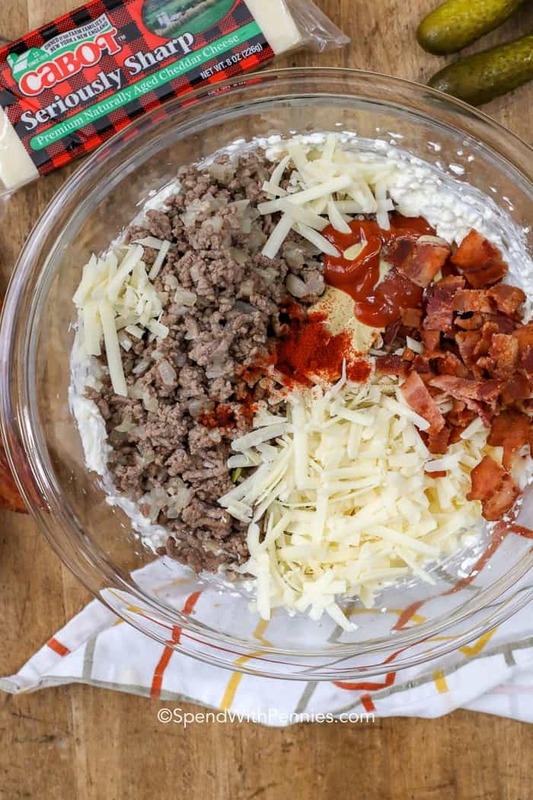 I prep this this cheeseburger dip in the morning (or even the night before) and pop it in the oven when my guests arrive. By halftime, you will have a hot cheesy dip that is ready to be devoured. 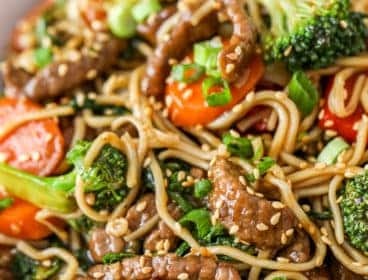 Serve it alongside cheddar sesame crackers (or tortilla chips)! To make Cheddar Sesame Crackers: simply cut circles (or shapes) out of tortillas, brush with butter and sprinkle with a generous serving of Seriously Sharp Cheddar and bake until golden or crisp. This can be done 3 days ahead of time! There are few things better than a good cheese dip, including this juicy cheeseburger dip! The secret to a cream cheese based dip is using a hand mixer to combine the base. This adds air into the cream cheese making it creamy and easy to scoop! I’ve added in my favorite burger flavors in this recipe, if you have toppings you love, add them in… minced onion, yellow mustard, relish, steak spice are all great in this recipe! Chopped lettuce, pickles and diced tomatoes are great toppings for this hamburger dip. 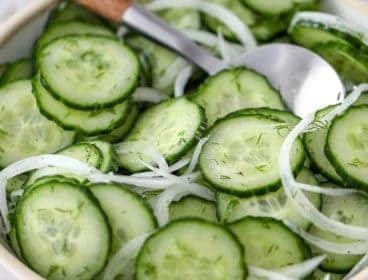 If you’re a fan of Jalapeno Popper Dip, add a few diced jalapenos to the mix! Yes, you sure can! If you happen to have any leftovers, this dip is perfect to freeze and save for a snack another day! 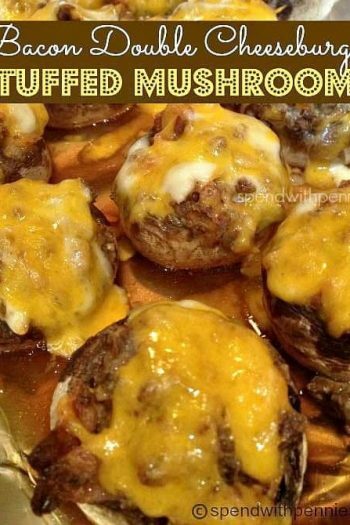 It’s also great to make into stuffed mushrooms (just fill and bake) or even to spread on toast! This hamburger dip features a creamy filling containing all of your favorite burger flavors. 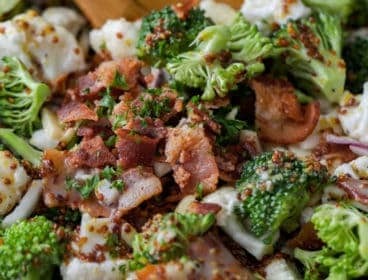 It is topped with even more cheese, then baked until hot and bubbly. 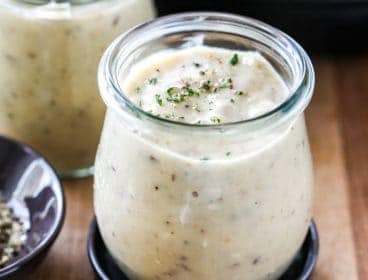 Combine cream cheese, sour cream, ketchup, Worcestershire sauce, smoke paprika, dill pickle juice and Dijon mustard with a hand mixer until fluffy. 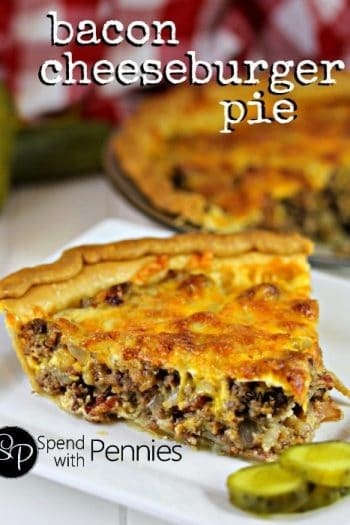 Fold ground beef, 1 ½ cups Cabot Seriously Sharp Cheddar Cheese and half of the bacon. 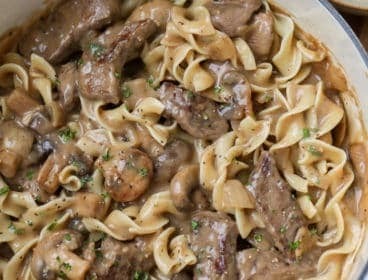 Spread into a 9” pie plate or casserole dish. Top with remaining cheese and bacon. 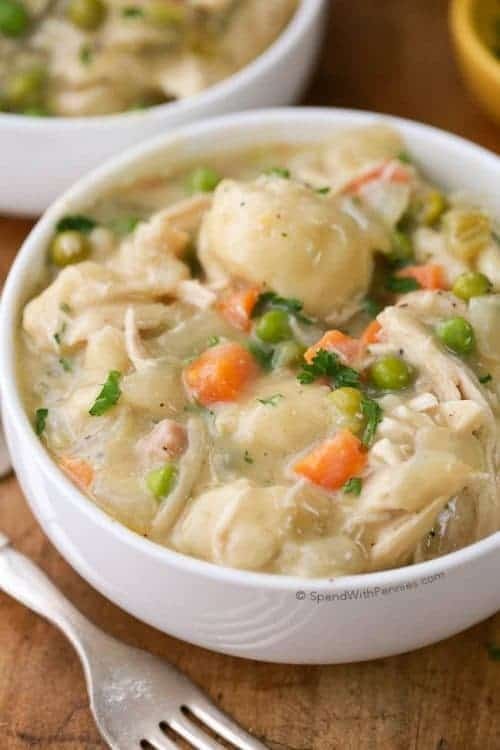 Bake 18-21 minutes or until melted and bubbly. Broil if desired. Cut the tortilla into wedges (or use a cookie cutter to cut circles). Combine melted butter and garlic powder. Toss with tortillas until evenly coated. Lay tortillas in a single layer (you'll likely need 2 pans) and sprinkle with cheddar cheese and sesame seeds. 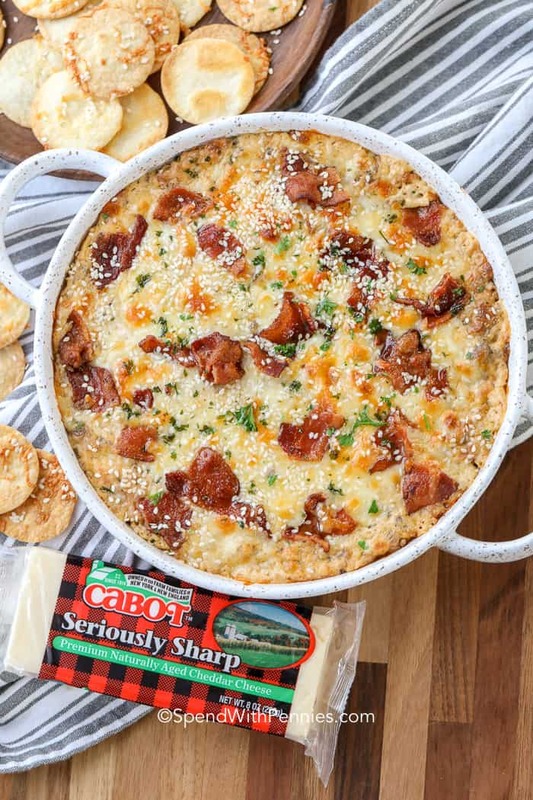 I am excited to have partnered with Cabot Cheese to bring you this belly warming hamburger dip. While I was compensated for this post, all thoughts and opinions are my own. 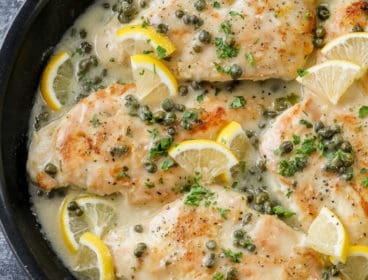 Working with great brands I love allows me to keep bringing you the great recipes you love!